Before the beginning of this year’s Summerlicious , I thought of listing different restaurants offering cuisines from different continents for a complete global experience. I do live in Toronto after all so why not make the best of this growing multicultural city. 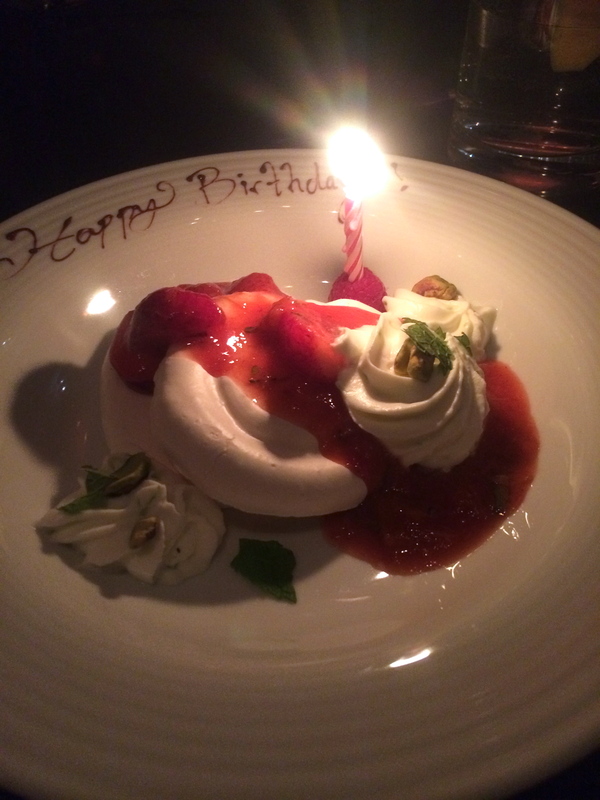 Fortunately, I also started Summerlicious on my birthday weekend! (woot for me!) So, why don’t we start sky high? Thirty-one floors high to be exact. My friends and I started Summerlicious and celebrated my birthday last weekend at the ever so glamourous STOCK Restaurant Bar & Lounge located at the 31st floor of the Trump International Hotel & Tower Toronto. The view from the balcony was quite spectacular. But hey, I’m not here just to talk about the view! Let’s get into brass tacks-the food. To start most of us in the table, and apparently the favourite according to our server for the night, ordered Bay Scallop & Atlantic Salmon Ceviche. Frankly, it was good but I did expect a little bit more umph. The scallops and salmon were fresh while tasting some acidity livening up the dish. The avocado crème fraiche played with the richness, which made the scallops and salmon more indulgent. Although, what was intriguing were the popcorn pieces on the dish. It gave a contrasting textural component to an otherwise very rich dish from the seafood, crème fraiche and yuzu sauce. An interesting concept and balance yet I still found it a little lackluster. Moving on to the main course, again most of us had the Roasted Corner Farm Veal Loin (another popular choice from the set Summerlicious menu). Not to side step the veal or anything because it was quite good, I just thought that the crème fraiche whipped Yukon Gold potatoes stole this one for me. Creamy, tangy and oh so luscious. I could have eaten bowls of those potatoes! 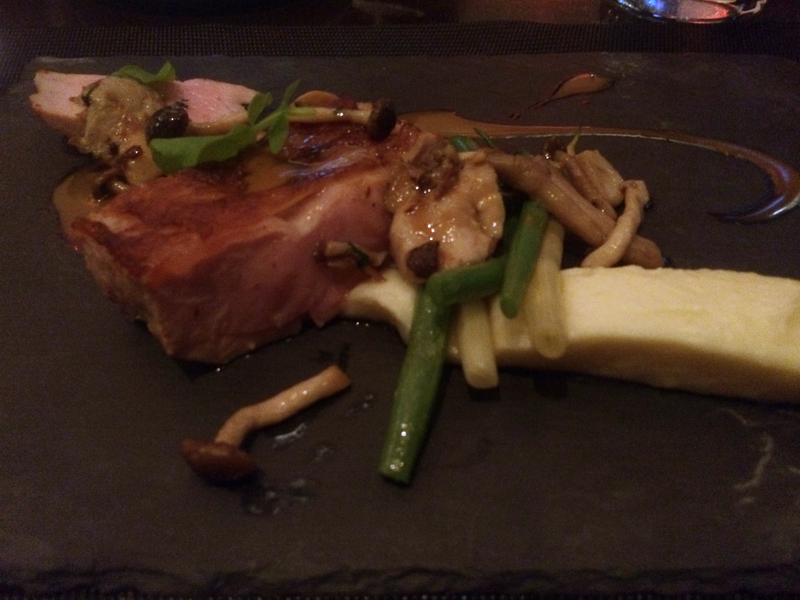 Paired with the green peppercorn sauce and the mushrooms completely elevated the dish. Overall, the dish was excellent! Now, this was my favourite part of the meal and not just because they got me a candle-dessert. Yes, I always make room for dessert. What’s life without a little sweetness in the belly? (Kudos if you get the literary reference!) We had Strawberry Pavlova with lime Chantilly and roasted pistachios. Let’s take a moment to just ponder about this dish. It had everything. The balance between the different flavours of sweet, sour, salty, bitter, and savoury. And of course the balance in textures as well. The meringue became a vehicle to carry all of the elements while gradually dissolving in your mouth with every chew. Quite an exciting amalgamation of textures and taste. The balance that was achieved in this dish made each component distinct yet successfully harmonious. Simply a delectable ending to a great meal. Here’s what I didn’t quite realize until now-the progression. The meal was climactic leaving the best for last. And what an impression it has made. A definite must go for Summerlicious! This is just a side note but I feel like it’s something quite important for me to voice out. The meal was awesome, the company even better, the service was top-notch but experiences like these continuously make me realize how much my values are evolving as I mature. Granted going out to these restaurants are exciting in the culinary sense but I don’t think the lifestyle that these very high-end restaurants emulate is for me. I love how good food can get but they don’t only come out of these kitchens. They come from the people exuding their passion for food through their food. There’s a story, there’s a vision created when eating meals. As consumers, it’s our privilege to experience the stories and visions they are conveying. Let’s savour the moment, shall we? P.S. Thank you to my friends for coming and celebrating with me! 🙂 Godspeed. 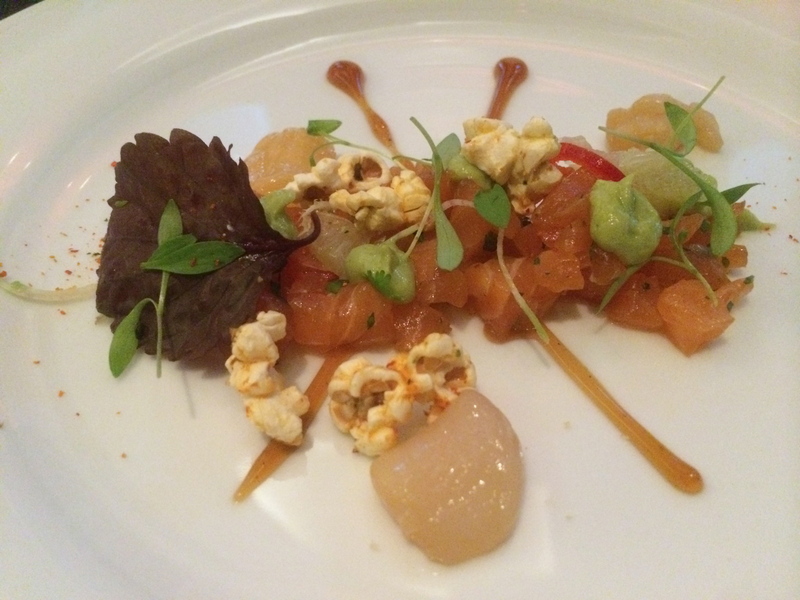 The rest of my reviews for Summerlicious 2014 have their own pages so feel free to browse through them. Food Journal for more photos from this meal!